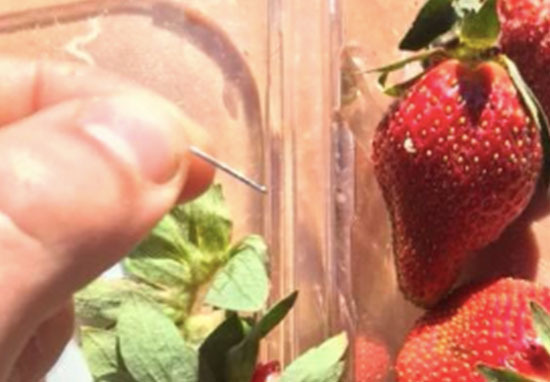 A young boy has been arrested for putting needles in strawberries in Australia. Detectives in New South Wales announced the arrest of the boy today (September 19), after he admitted to putting needles in the fruit as a ‘prank’. Stuart Smith, Acting Assistant Commissioner, said the arrest had been made in the past few days. 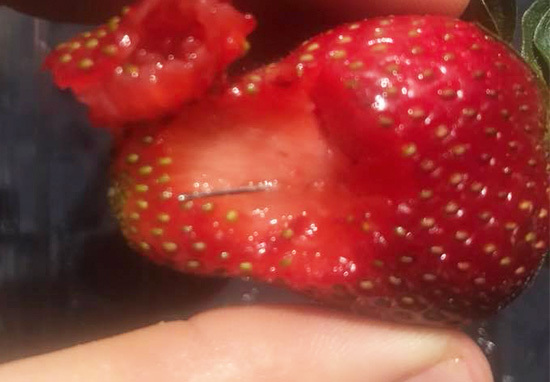 Finding needles in fruit has become a contamination crisis across the country, which detectives have said is entirely the work of copycats and pranksters. Obviously in the last few days we found a young person has admitted to a prank, including putting needles in strawberries. He added the boy will be dealt with under the ‘youth cautioning system’, and announced a $100,000 reward for information about anyone who’s guilty of contaminating fruit in New South Wales. The announcement of the arrest follows an incident at a Newcastle primary school, north of Sydney, where a child found a needle inside a banana. Luckily the student discovered the needle before biting into the fruit. The primary school shared the incident on their Facebook page, warning parents to cut fruit up before giving it to their children. As you would have heard, this morning a student at St Paul’s discovered a needle in a piece of fruit. The student fortunately discovered the fruit was contaminated before biting into it. The local police were informed, have visited the school, and are investigating. If you send fruit to school over the next few days, please cut it up first and send it in a plastic container. The horrible trend is taking its toll on Australian farmers, who are wasting thousands of dollars daily, picking strawberries they immediately have to dump. Demand has reportedly halved in the past week, as the crisis ripped through the industry and supermarkets removed the fruit from their shelves. 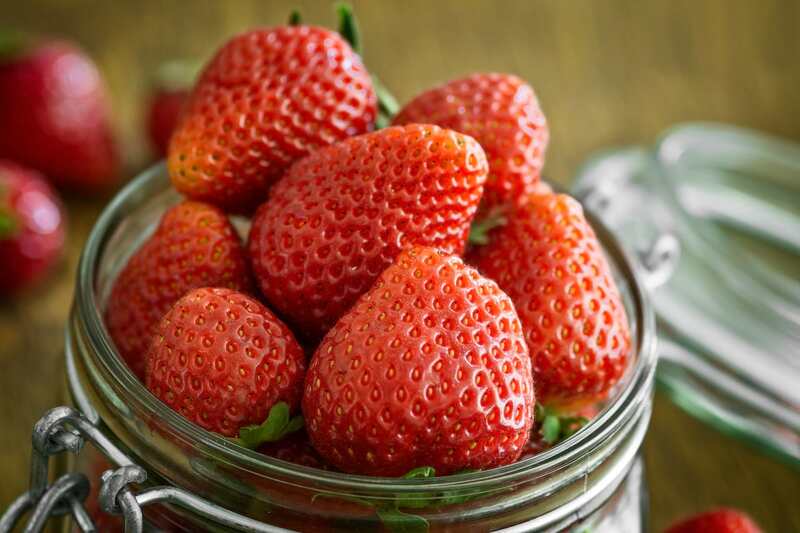 Donnybrook Berries Farm, situated north of Brisbane, was the third brand affected by the contamination when a man was rushed to hospital after eating a strawberry with a needle in on September 9. Just posting this as a warning to anyone that has bought strawberries (Berry Obsessions) from Woolworths recently. Driving up to the coast when Hoani van Dorp bites through a strawberry and swallows half a sewing needle. We then checked the other strawberries and found another sewing needle lodged inside one of them. We are now at the ER because he subsequently started experiencing severe abdominal pain. Just posting this as a warning to anyone that has bought strawberries (Berry Obsessions) from Woolworths recently…. Another six farms were targeted by the malicious pranksters and have had their stock pulled from supermarket shelves indefinitely. Since then, the industry as a whole has started to suffer in the country as dozens of people found razors or needles in their fruit, and stopped purchasing strawberries for fear they’d be a victim. Stephanie Chheang shared a video on Facebook taken at her family’s strawberry farm. This is no doubt the worst thing to ever happen to my family. This here is a video of our strawberries being dumped, this here is worth more then you could ever imagine and within 3 days we lost it all. My mum Leena Lee Cufari and my step dad has worked years to build the empire they’re sitting on now, they put all their money and effort in to build such a successful business. They work hard to make the money for our family and to have these selfish individuals destroy it is just so upsetting. My mum works day through to the night, controlling the shed and her 250 employees, making sure her strawberries are packed to perfection. This will not stop my family from doing what they do best, if anything they’re going to do better. I thank everyone who supports us and all the other farmers who were affected by this horrible issue. We thank you from the bottom of our hearts ❤️*** To everyone who does not know, this is due to the needle contamination. We have to throw them out because the markets wouldnt take our strawberries due to the needle scare. ** video produced from Donnybrook Berries** Donnybrook berries will be adding precaution and putting in metal detectors and other safety equipment we can think of to give our consumers the best quality strawberries. They work hard to make the money for our family and to have these selfish individuals destroy it is just so upsetting. Prime Minister, Scott Morrison, explained they’re looking to introduce a provision swiftly, which will see anyone guilty of this behaviour, imprisoned for up to ten years.